Sash windows are quintessentially British. They have been an important part of British architecture since the late 17th century and are a key feature of many Georgian, Victorian and Edwardian buildings. Because of this, they lend an air of authenticity, quality and luxury to any building designed or refurbished with heritage in mind. Sash windows fell out of favour in the middle and late 20th century. Only available in timber, they were prohibitively expensive – ruling them out for all but the most exclusive renovation and new build projects. At the same time new materials became available which offered enhanced thermal efficiency and better security. But they couldn’t offer the same aesthetics as true sash windows. Fortunately, times have changed. 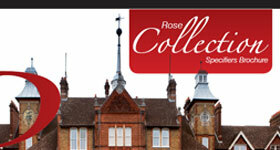 The uPVC sash windows that make up the Rose Collection are indistinguishable from original timber sashes, but offer all benefits of modern materials and manufacturing techniques. They offer better thermal insulation (both in heat loss and heat gain), enhanced security, and improved acoustic insulation as well, all while closely replicating the narrow sightlines and proportions of original timber sashes. We think of it as seamlessly designing modern benefits into traditional windows, where both sides are as important as each other. 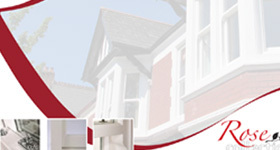 We have over 30 years expertise in uPVC sash windows. We were the first company in the UK to manufacture them (in 1985), so no other company can match our knowledge and experience. And the key thing this experience has taught us is that every project is different. Every project has it’s own challenges at the design and specification stage. Whether those challenges come from designing something into an existing area, selecting the right details, complying with the relevant regulations or simply just getting the right windows on a strict budget (and more than likely it will be a combination of these), we’ve helped both architects and specifiers overcome them many times over. When designing a building and specifying products for it, a key consideration is making sure that the products you choose are fit for purpose. You need to know – at the start – that they have all the accreditations and certificates required to meet various different standards and regulations. At Roseview we have this covered. 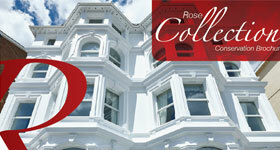 All the windows in the Rose Collection come ‘A’ rated for thermal efficiency as standard. 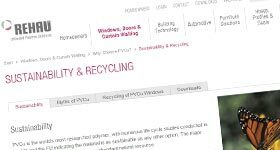 Everything is CE Marked, and all our windows can be supplied as Secured By Design (SBD) and with PAS24 compliance if required. And if you have any more specialised requirements – acoustic barriers or Lifetime Homes compliance for example – we can cover those too. In short, whatever the requirements of your project, we can advise and work with you to make sure that all the relevant boxes are ticked. A lot of work has gone into making uPVC the fully sustainable product that it is today. Modern uPVC is lead-free, requires little energy to produce and is fully recyclable. 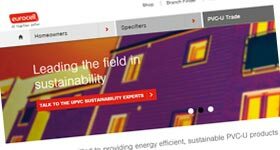 As the construction industry moves towards the UK’s 2018 carbon neutral construction target, uPVC is leading the way. All of our uPVC comes from two systems companies: Rehau and Eurocell. Both are committed to creating sustainable uPVC (see links below). In particular, Eurocell owns and runs one of the UK’s leading uPVC recycling facilities, which is where all our waste and offcut goes. 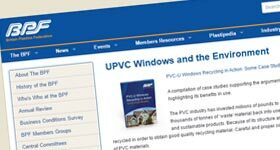 For more information about uPVC sustainability and recycling, follow the links below. The following are some of our most popular downloads for architects and specifiers. For a complete set of downloads and other resources, visit our Resources page. And while you’re at it, why not check out the photos in our sash window gallery.